Spectrum Platinum v2.5.5 adds support for the Undo Manager, and the self-booting .2Mg zipped disk contains GS/OS 6.0.4, and a working copy of the latest Spectrum™ v2.5.5. A universal installer allows you to install Spectrum™ on any disk of your choosing, or run Spectrum™ directly from the boot disk. The .2Mg disk contains a working copy of the latest Spectrum™ v2.5.4 zipped update, and a universal installer which allows you to install Spectrum™ on whichever disk you like. A Macintosh disk image (10.5Mb), containing Spectrum™ v2.5.3, SAM2, SAFE2, and SNAP. Note: These are the full set of four Spectrum™ v2.5.3 3.5″ floppy installation disks. 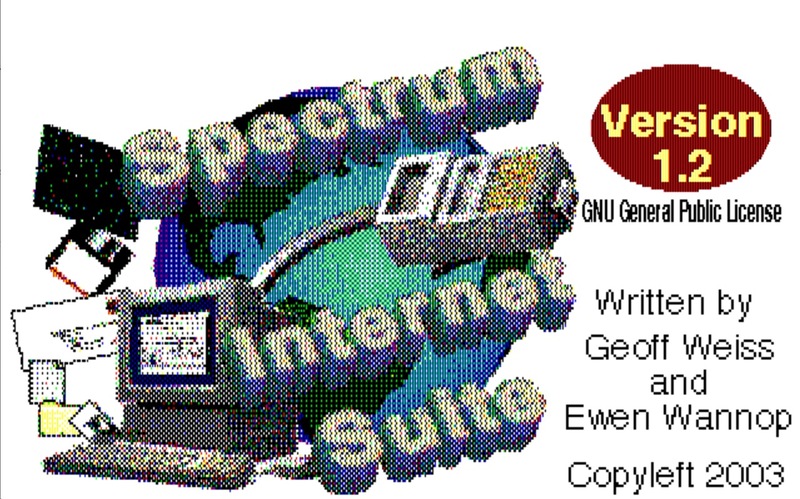 Please go to the SIS web site to download, or read more about, the Spectrum Internet Suite web browser. In System 6.0.3 and later, some changes were made to the TextEdit selection code to harmonise it with how other platforms such as the Macintosh, handle text selection. This has broken the mechanism of how the HTML Browser XCMD engine in SIS builds and works to select links with a double-click. As a result, you can no longer double-click links in SIS if using any GS/OS system after 6.0.1 or 6.0.2. For a number of reasons, very few web pages these days can be accessed with a plain HTTP command, and require HTTPS. Even if you do get to a page, most pages now use scripting to build complex pages often based on graphics. SIS cannot support many of those options, so is now of very little practical use. As a result, Spectrum Internet Suite (SIS) is no longer supported if running on any system after GS/OS 6.0.2.